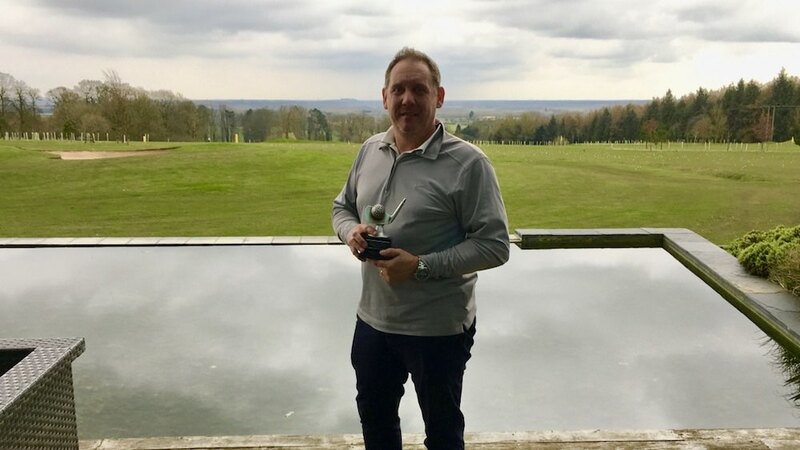 Congratulations to Tony Challenger for winning the 2018 Head Down Follow Through Trophy at Kilnwick Percy Golf Club on Sunday 8th April. Tony had a solid front nine of 19 points but ripped the back nine to pieces with 25 points. The course was very soft from the previous weeks heavy rain but everyone enjoyed the first tournament of the year. The highlight of the day was by Darren Bartlett who had a hole-in-one on the 3rd hole and won the £79 hole-in-one prize. LDB. To see all the columns in the tables below rotate your phone from portrait mode to landscape mode. Darren Bartlett won the £79 hole-in-one prize by hitting a lovely wedge on the 3rd hole at Kilnwick Golf Club on Sunday 8th April 2018. The only downside for Daz was the hole is uphill and he never saw the ball go in the hole. Well done Daz. Each nearest the pin wins three Heppy's golf society logo golf balls. The longest drive wins three Heppy's golf society logo golf balls. All players in this cup are drawn out in two man teams and the highest combination of stableford scores wins £10 each.